Nolletti Law Group is a highly qualified team of experienced and assertive family law professionals dedicated to the representation of High Net Worth clients in their desire to successfully navigate legal minefields, protect their children and minimize financial risks in connection with the divorce process. The dividing line between individuals getting divorced and High Net Worth individuals getting divorced is important because it typically marks the moment when one goes from needing standard divorce representation and advice to needing more personalized care from divorce lawyers qualified to handle complex financial issues. 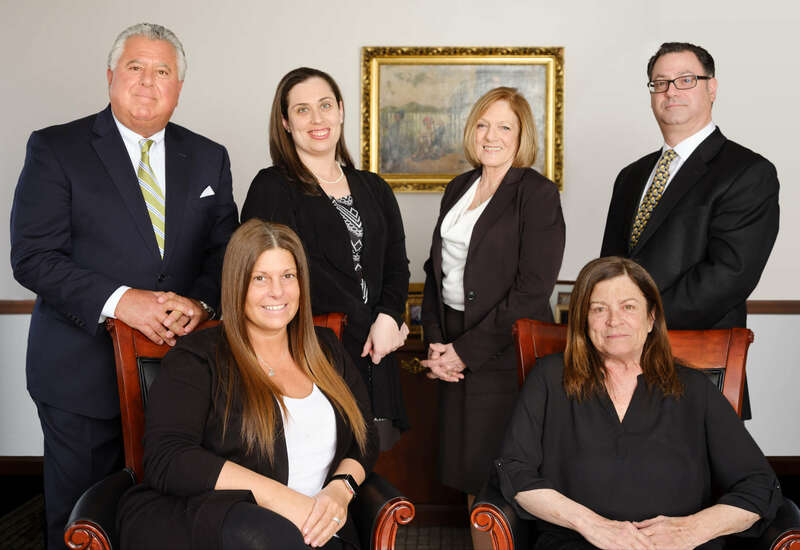 Known as the White Plains divorce firm that’s devoted to excellence, our family law professionals provide legendary client service to those interested in protecting that which they’ve worked so hard to obtain – every time. Nolletti Law Group serves professionals, business owners, executives, celebrities and their spouses in Westchester and surrounding areas who are facing a high stakes or High Net Worth divorce. We recognize that intelligent planning is essential for the successful delivery of personal legal services in contested divorces that may require litigation involving issues such as child custody, the division of tangible or intangible assets and property, appeals and modifications, spousal maintenance and alimony, tax implications of divorce, and more. The team of family law professionals at Nolletti Law Group is client-centered and assertive. Many of our clients hire Nolletti Law Group to help them work through a tense or tumultuous divorce with dignity and privacy, while others simply need information about their rights, responsibilities, and options in their legal situation. We take pride in offering solutions that minimize the risk to High Net Worth individuals while providing a customized strategy for each situation. Superior Credentials. Our founding member, James J. Nolletti, Esq. is a Fellow of both the American Academy of Matrimonial Lawyers (“AAML”) and the International Academy of Family Lawyers (“IAFL”). He has received board certification as a Family Law Trial Advocate from the National Board of Trial Advocacy (NBTA) and is a founding member of the New York Chapter of the American Academy of Certified Financial Litigators (“AACFL”). A High Net Worth divorce case requires exceptional, premium legal care. Expert Network. Nolletti Law Group works with a network of forensic accountants, valuation experts, mental health and child custody evaluators, real estate and vocational experts, private investigators, forensic computer specialists, document and handwriting examiners, and others to ensure your divorce is transparent and reaches its best-case resolution. Preparation and Organization. Intelligent planning and preparation are critical in obtaining good results. A properly prepared case and client facilitates a successful resolution. For those few cases that cannot be settled, half the battle may be won before stepping foot in a courtroom. Experience, Quality, and Professionalism. Each of our attorneys has handled countless cases of high stakes or High Net Worth divorce and uses that expertise in handling your unique legal situation. Accessibility. Our team is regularly responsive to clients’ needs before or after normal working hours, as we take pride in our availability, optimized client communication, and case management for our clients’ convenience. With a High Net Worth divorce, the stakes are higher and the situation demands a high degree of knowledge and experience to recognize and explain common mistakes and how to avoid them. With Nolletti Law Group by your side, you’ll have that level of confidence and peace of mind that comes from representation by a highly qualified team of professionals with extensive experience in such matters. With our team of experienced attorneys and culture of excellence, we provide top-ranked legal services to individuals facing a High Net Worth divorce in White Plains, Westchester County, and neighboring counties, including Rockland, Putnam, Dutchess, Nassau, and New York. Start your divorce process today by calling our White Plains office at (914) 831-7000 to arrange your first, fully confidential consultation.